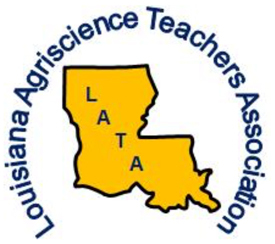 Louisiana Agriscience Teachers Hall of Fame sponsored by Louisiana Farm Bureau’s Ag in the Classroom. Employment as a teacher of Agriculture Education and LATA for a minimum of twenty-five years or a combination of teaching and years of direct service in Agricultural Education such as an agriculture teacher educator, or an administrative or a service position such as an area teacher, region coordinator or state agriculture education director. A person with less than twenty-five years of service may be considered if the person died in service or if the person has a disability preventing continued service in Agriculture Education. The Hall of Fame Committee may choose up to five (5) qualified applicants per year. Meeting all qualifications does not assure that the person will be elected to the Hall of Fame. The Hall of Fame committee will make the final selections from the most qualified nominees.